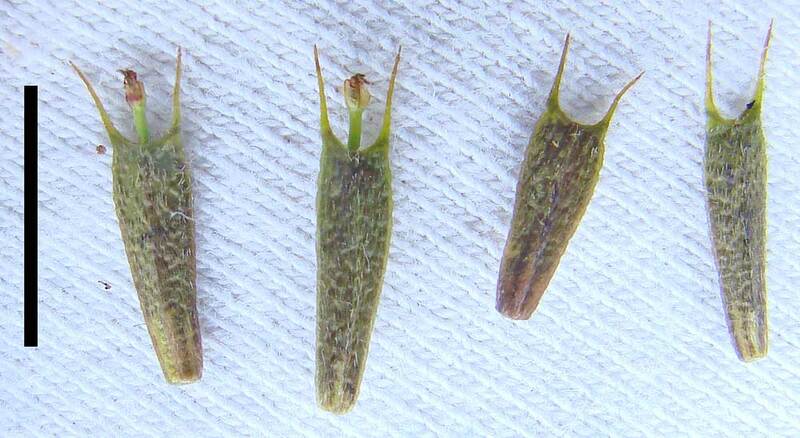 Bidens fruit.JackPine , Nova Scotia Wild Flora Society (nswildflora.ca), 4.2014. (Accessed 12/2014). Bidens is a genus of herbs in the family Asteraceae. 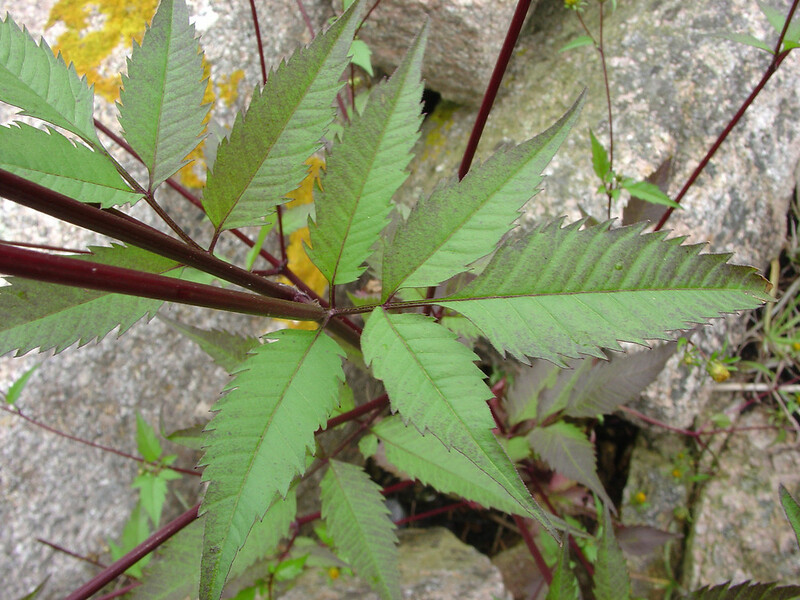 Bidens frondosa leaves. By Glen Mittelhauser. Copyright © 2017 Glen Mittelhauser. New England Wild Flower Society. gobotany.newenglandwild.org (Accessed 11/2017). Leaves opposite, simple to much divided. 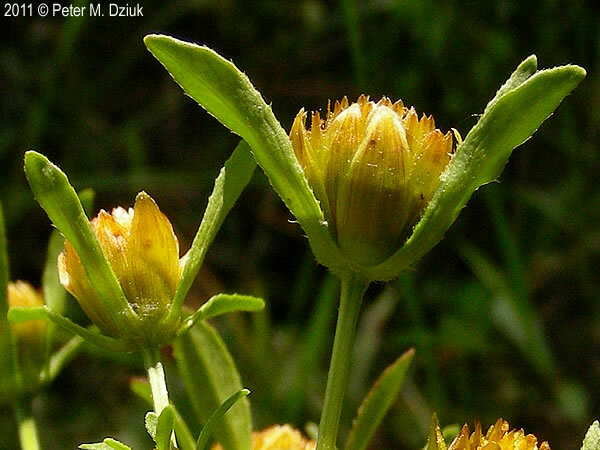 Bidens connata floral bracts. 2011 © Peter M. Dziuk. 792837-6. minnesotawildflowers.info (Accessed 11/2017). Flowers mostly yellow, ray flowers sterile (see Genus Aster), few (mostly 8), if any, often shorter than disk; basal bracts in two rows, the outer green, large, longer than the inner membranous bracts; style branches of disk flowers short, hairy, flattened, receptacle with erect, papery bracts among disk flowers. Fruit dry, 1-seeded (achene), usually angled, sometimes 4-sided, tipped with 2-4 barbed awns that cling to clothing or fur for dispersal.